Unless you’ve been living under a rock, you know the latest Star Wars movie dropped last Friday. And if you read this blog (or follow me on Instagram) you know I’m a huge Star Wars fan. I haven’t seen The Last Jedi yet, but I did recently rewatch The Force Awakens as a quick refresher for where things left off. Then I made a drink. 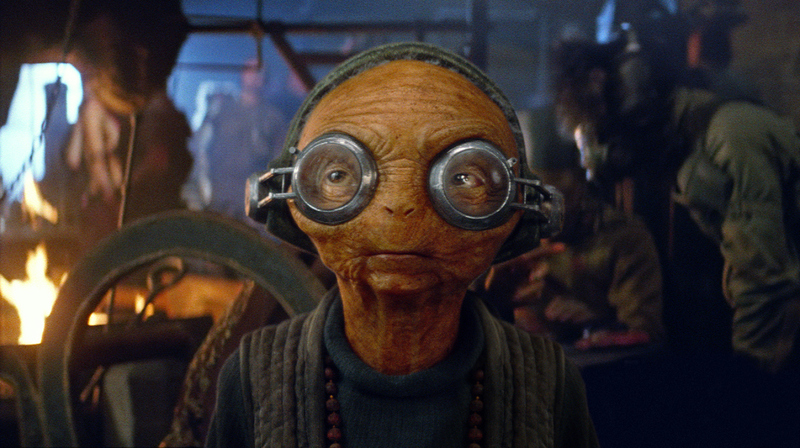 I decided to draw inspiration from the thousand year old owner of everyone’s favorite Takodanan watering hole, Maz Kanata. Choosing to riff on a Pina Colada was easy because…I mean…just look at her name. One of the first things Rey says upon seeing the lush landscape of this world is “I didn’t know there was this much green in the whole galaxy”. Naturally, I took this as a cue to work some Green Chartreuse into my Kolada. Pineapple rum serves as the base, and is supported by some white and aged rum for complexity. The usual players of pineapple juice and coconut cream are present, rounded out by some Licor 43 to bring in a bit of citrus while also softening the Green Chartreuse. While the color isn’t as green as Maz’s planet, it’s still something she’d be more than happy to serve in her establishment. Classic pineapple and coconut flavors are given new life from the herbal kick of the Chartreuse. The pineapple rum adds even more tropical flair, while the Licor 43 brings a completely different type of floral sweetness in addition to its zesty citrus bite. The garnish is a nod to Maz’s trademark eyewear. Maybe Rey should have ordered one of these to calm herself down after Luke’s lightsaber gave her a disturbing Force vision. Beyond excited for Episode VIII and can’t wait to see what drink inspiration awaits in a galaxy far, far away.